I previously wrote about how I love the play centers here in Japan. Truth be told, I love the parks just as much. Like the play centers, the accessibility and variation of the parks make them one of the many things to be grateful for as an expat in Japan. We have a great choice of quality parks in my homeland (Ireland) too, but there are two things that make the parks here stand out: the playgrounds and the seasonal scenery. Generally speaking, the seasonal scenery in Japan is something to awe at and revel in. Some of the larger parks utilize this and are celebrated for offering beauty all year round by cultivating flowers and florae for every season. Sometimes for every month. One such park that has monthly flora to view is here in Saitama; Japan's first national park Musashi-Kyuryo National Government Park more commonly called Shinrin Park. Currently, Shinrin Park has plum blossoms coming into bloom. There is still some Wintersweet blooming too. Shinrin Park is not famous for its plum grove. 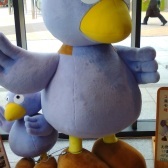 The most famous in Saitama Prefecture is the one in Ogose. It is one of the three "big" plum groves of the Kanto region. Another well known plum blossom grove is the one in Omiya Dai Ni Park. 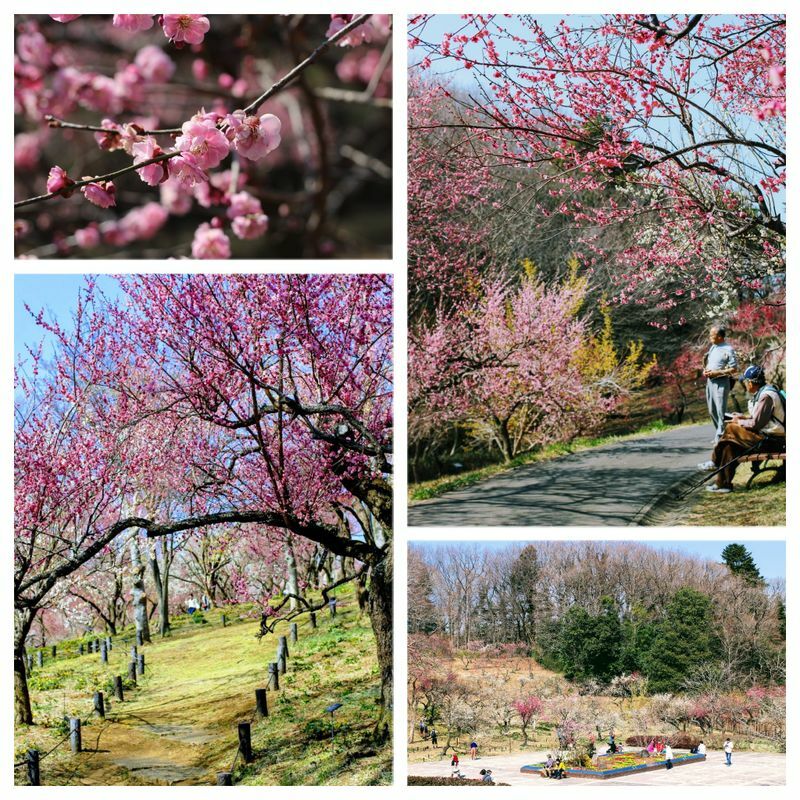 However, while both these groves are said to be the best places to see Plum Blossoms in Saitama, while both have a couple of things for kids, neither are particularly family friendly. Shinrin Park on the other hand has a huge amount of things for children to do. There are three separate playgrounds as well as other play areas and open spaces. The plum blossom grove is located in the South end of the park a good twenty minute walk from the nearest playground (the mountain air trampoline near the central gate), but you can use the park train or hire a bike to get around the park more conveniently. Today, my son and I availed of the latter, bike hire, to cycle 20 minutes from the West gate play area where we left the rest of the family playing. The West entrance play area has two huge playgrounds, one of which is an adventure playground, and a large green area for playing with giant balls. You have to park your bike at the south entrance's bicycle depot, then walk about 10 minutes to the plum blossom grove. The cycle and the walk were well worth it. Even though not all the trees are blooming yet and the majority of trees aren't at 100% bloom yet, the grove looked beautiful. There are pink blossoms, white blossoms and the yellow of the Wintersweet that are still blooming. The plum blossoms are expected to be in full bloom this week and will start to taper off after that. You should be able to view them until about mid March.